Drip Trays are designed to catch liquids and debris that could fall off the conveyor, and drip trays are custom designed for each individual conveyor. Drip Trays limit any potential damage that could occur from product dripping. 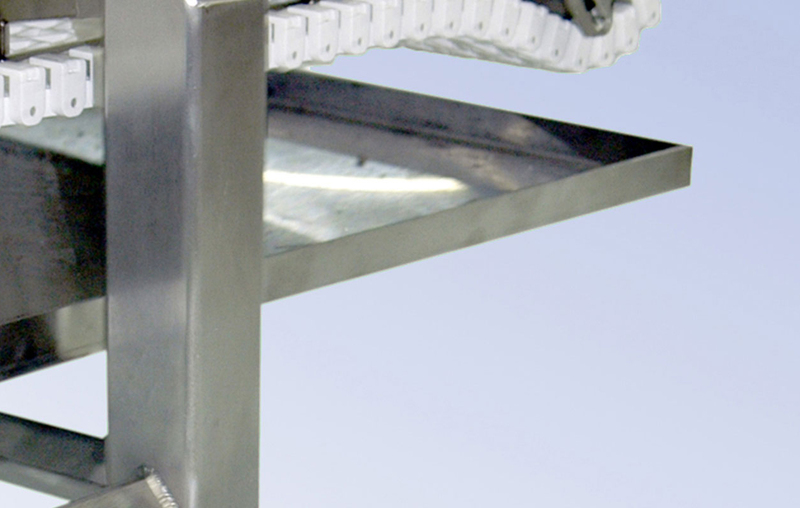 Drip trays are designed to catch liquids and debris that could fall off of the conveyor. Protects liquid/debris falling onto walkways or other areas under the conveyor. Drip Trays can be equipped with drain plugs so liquid can be routed to a centralized drainage system.